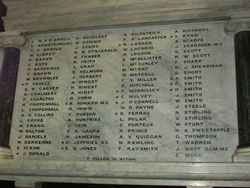 Newcastle High School Honour Roll commemorates former pupils of the school who served in World War One. 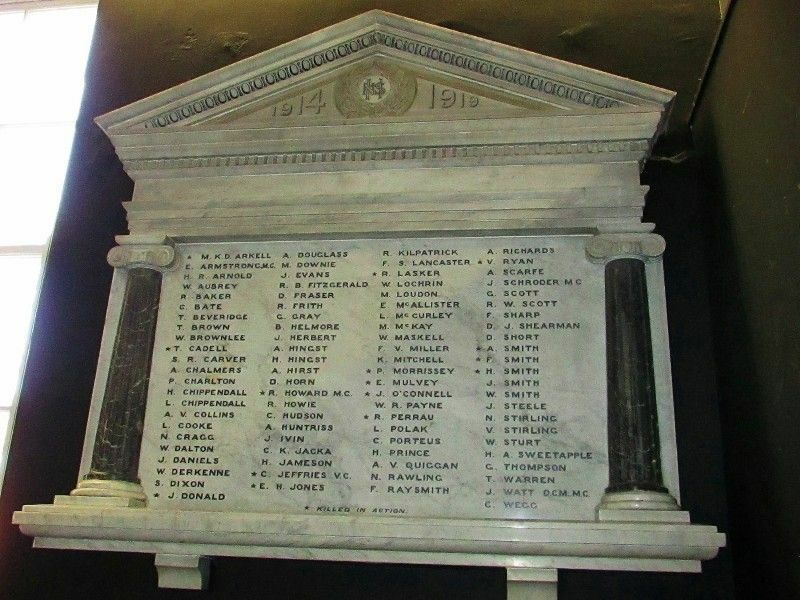 "On behalf of the teachers, staff, ex-pupils, their parents and friends, I unveil this memorial to the undying glory of those brave Australian boys, who were pupils of this school, and when duty called, responded for God, King and country; and may their names live for evermore." With these words, Mrs. J. Jeffries, mother of the late Captain C. S. Jeffries, V.C., the war hero of Newcastle High School, unveiled the school honor roll this morning in the presence of a large gathering of pupils, teachers, parents and ex-pupils. 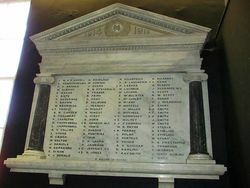 The honor roll is of marble, and bears the school monogram and the names of 90 of the ex-pupils who enlisted. 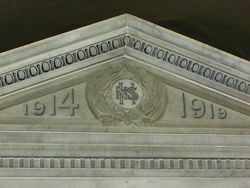 It is installed on the wall of the chief assembly room. In the absence of the Minister for Education, Mr. Bruntnell, Mr. C. H. Smith, the first headmaster of the school, presided. Mr. G. Saxby, the present headmaster, referred to the honor roll, the money for which, he stated, had been largely subscribed by the present pupils. The Newcastle Sun (NSW), 25 April 1922.